Revolution (86 minutes april 2015) is a film about changing the world. The true-life adventure of Rob Stewart, this follow-up to his acclaimed SHARKWATER (36 festival wins) documentary continues his remarkable journey; one that will take him through 15 countries over four years, and where he'll discover that it's not only sharks that are in grave danger -- it's humanity itself. SHARKWATER Extinction Kickstarter Video from Rob Stewart on Vimeo. "Unfortunately it is with a heavy heart that I share Rob has been found. We are deeply saddened but take comfort that he passed while doing what he loved," family spokeswoman Victoria Gormley wrote, according to Canadian broadcaster CBC. The Coast Guard says it searched a 5,500 sq mile area (14,244 sq km). Rob briefly surfaced and then disappeared while diving with friends near the Florida Keys Tuesday January 31. It was reported to beeing a difficult dive. He was diving about six miles off the coast of Islamorada. Bruno Chatelin commented "I am deeply affected and sorry by this loss. Rob's films Sharkwater and Revolution have travelled in a few hundreds festivals. And I have been very proud to work with him these past 4 years helping his films connect with festival crowds. His film last premiered to a full house in Arcata (California) during Ocean Day on Feb 2nd, the search was still on, and the crowd was very moved by that news and his film commented the festival director". I will be very happy to share your comments with Rob's Parents: Sandy and Brian and his sister Alexandra. Our thoughts and prayers go to Rob and his family. I though you would enjoy reading the wonderful words of those who met him and testify of his legacy. We're inviting people to leave messages of condolence, support, and solidarity for Rob Stewart's family, friends and colleagues here. Thank you. 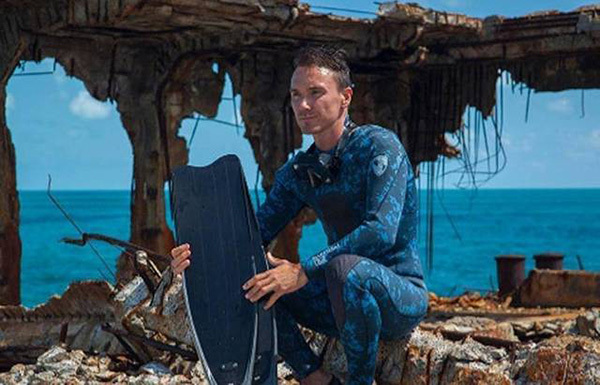 ISLAMORADA, FLA. — The family of Toronto Rob Stewart says his body was "found peacefully in the ocean" Friday after he disappeared this week while diving off the coast of Florida. A Facebook post by Stewart's sister Alexandra asked for privacy in order to grieve. "There are no words," the post said. "We are so deeply grateful to everyone who helped search, and happy that Rob passed while doing what he loved." His death was also confirmed by a publicist for the director. The U.S. Coast Guard said a body was found Friday about 90 metres from where Stewart, 37, was last seen. It did not immediately confirm whether the body discovered was Stewart's. Rob was last seen Tuesday when he had just returned to the surface after a dive about 70 metres down near Alligator Reef in the Florida Keys. Stewart's diving partner lost consciousness as he got into the dive boat, his sister previously told The Canadian Press. Coast guard Capt. Jeffrey Janszen said as others tended to that man and gave him oxygen, Stewart disappeared, and his family believes Stewart may have lost consciousness as well. Rob Stewart (December 28, 1979 – January 31, 2017) was a Canadian photographer, filmmaker and conservationist. He was best known for making and directing the documentary films Sharkwater and Revolution. He died at the age of 37 in a scuba diving incident while in Florida filming Sharkwater: Extinction. Stewart was born in 1979, in Toronto, Ontario, where he was raised. He began doing underwater photography as a teenager, and became a scuba-diving trainer when he was eighteen years old. He attended the prestigious Crescent School in Toronto, Ontario, Canada as a youth. For four years, Stewart worked as chief photographer for the Canadian Wildlife Federation's magazines, and also worked as a freelance journalist. He won awards for his journalism. Stewart held a bachelor's degree in biology from the University of Western Ontario, and studied zoology and marine biology in Kenya and Jamaica. Stewart got the idea to make the movie Sharkwater at age twenty-two, when he found illegal long-lining in the Galapagos Marine Reserve. He travelled through fifteen countries for the next four years, studying and filming sharks, and going undercover to confront the shark fin industry. Sharkwater went on to win more than 40 awards at top film festivals. His follow-up film, 2012's Revolution, builds on Sharkwater, examining environmental collapse. In 2013, it was the highest grossing Canadian documentary, and it received 19 awards from global film festivals. In 2016, Stewart launched a Kickstarter to fund Sharkwater: Extinction, a sequel to Sharkwater that would focus on the 80 million sharks killed per year that are unaccounted for by scientists. He was working on the film at the time of his death. Stewart has won more than 40 awards for Sharkwater and ten for Revolution, and was nominated for dozens more including the Hawaii International Film Festival, the Gen Art Film Festival, the Fort Lauderdale Film Festival, and the Atlantic Film Festival. In 2006, he won the Special Jury Award for Documentaries, the Spirit of the Independent award, the People's Choice award for Best film, the Jury award for Best Documentary, and the Audience Award for Best film. The following year, he won the Audience and Best Feature awards at the Gen Art Film festival. In 2008, he received a Genie Award nomination for Best Documentary. He also received a Genesis Award for Outstanding Documentary, and an Environmental Vision award at the 35th annual Vision awards; held in Los Angeles, in 2008. Rob has been found, peacefully in the ocean. There are no words. We are so deeply grateful to everyone who helped search, and happy that Rob passed while doing what he loved. We are working on how best to honour his incredible work. The Stewart family kindly asks that they are given some private time to grieve. We lost an amazing conservationist on January 31st, 2017. He had just turned 37 a month before. It is a tragic loss, not just for his family and friends, but for marine conservationists and divers from around the world. He died doing what he loved, making films and working to protect sharks. Rob once told me that there were many dangers in filming sharks but being attacked by a shark was the least of his concerns. He loved and understood sharks and he changed the views of millions about sharks, reversing the once almost universal that many species of sharks are monsters as portrayed by Spielberg. He saw them as graceful, fascinating creatures deserving of respect and protection. Many people have asked me over the last 12 days; how and why did Rob die? How could such a skilled and professional diver lose his life diving? Rob and another diver were diving deep that day, looking for sharks around the wreck of a ship called the Queen of Nassau at a depth of about 285 feet. Rob Stewart made an enormous contribution to humanity’s perceptions of sharks. He produced two incredible award-winning documentaries, Sharkwater and Revolution and was working on Sharkwater Extinction when he died. He has left us with this important educational legacy and in doing so he made a significant contribution to marine conservation. He died however doing what he loved and in an element that he loved. Our crew on the John Paul DeJoria will be thinking of Rob when they dive and film sharks next month off the West Coast of Central America. His invaluable service to the cause of marine conservation and especially of sharks will never be forgotten. Rob Stewart devoted his life to sharks and their conservation. Shortly after his tragic death, Simon Rogerson of Scuba Magazine suggested that we should create a “wall” of shark images to honour his memory on Facebook. Wetpixel would like to take this idea one stage further, and are seeking submissions from anyone who wishes to take part in a Full Frame feature of shark imagery devoted to Rob Stewart. If you would like to contribute images, please email us. Please do not attach images, we will provide details of how to get the images to us by return of email. Thank you in advance. Wetpixel is owned and published by Eric Cheng and edited by Adam Hanlon. The tragic death of Rob Stewart is a timely reminder that we are all on borrowed time on this earth. It is always a shame to see someone so young pass away, but doubly so when you consider the huge achievements of Rob, and the ambitious plans he held for the future. My Hero. My inspiration. The planet lost an amazing human being and ally. Rob left us while doing what he lived for, documenting the beauty of our ocean to raise awareness about the urgency to protect it. Your voice will grow louder in the actions of all of the many that you inspired. It was honor to have met you. A true larger than life figure. We can only hope to honor your memory by continuing your work on conservation, your passion and love for the ocean and your unparalleled devotion for sharks. You inspired and moved a generation. We are grateful for your invaluable contribution. My thoughts are with you. your family and friends.. Godspeed. I will miss you my friend. Rest in peace. TRIBUTE ROB STEWART from Pablo Garcia on Vimeo. Beautiful tribute. I love the use of the Steve Jobs quote, one of my favourites. Well done! Details on Rob’s funeral on Sat Feb 18 are below. Following, the Stewart Family will host a celebration of life party at the Park Hyatt Hotel and we would love to see if you are available – if you wish to attend the reception, please RSVP by replying to this email so we can plan accordingly. On behalf of Brian and Sandra Stewart (Campbell), their daughter Alexandra, and the entire Stewart family, we ask you to join us in celebrating the life of our dear son and brother, Robert Brian Stewart (December 28, 1979 - January 31, 2017), who was taken too soon and is forever in our hearts. (300 Bloor Street West, Toronto, M9B 6B7). In lieu of flowers, please consider donating to continue Rob's work to save our sharks and oceans at www.sharkwater.com (through the World Wildlife Fund). Very sad and huge loss for the oceans. Condolences to his family and friends. When I started with Sea Shepherd in New Zealand the first event we did was showing Sharkwater which was then well established as thee shark conservation movie. Three years later shark finning was banned in New Zealand waters with a fair bit of effort from NZ NGOs including Sea Shepherd. This happened in many other countries around the world at a similar time and I believe your friend and son and his ground breaking film was a major contributing factor. Now people knew. You must be so proud of him and the positive changes he made. The young marine conservationists in my country that Rob inspired and motivated will be the legacy he leaves here and I’m sure in many other countries around the world. Sharks are now cool and no longer the monsters they were once perceived to be. I never met Rob but as you know he replied with a very generous offer for us to show Revolution in NZ. Thank you so very much Rob Stewart, thanks for helping to save the sharks. Award winning filmmaker and environmental activist campaigning to protect sharks Rob Stewart won the Best Trailer for Revolution this past festival season. It is with great sadness we have learned his body was recovered underwater in the Florida Keys where he was filming his most recent film. I don't know if Brian will remember me, but I was at Rob's launch party at Cannes and got to spend some time getting to know Rob and Brian. I was deeply impressed by Rob's passion, commitment, and message. I'm honored to be featuring Revolution in this year's festival. With the state of our country, his film could not be more important. My thoughts, prayers, and condolences go out to Rob's family and friends. Thank you all for your support and messages during this unbelievably difficult time. You are all a big part of Team Sharkwater and Rob’s mission to protect the sharks and the oceans. We have paused production on the documentary to give his family and his global community time to grieve the loss of such an incredible soul. We know the intention is to finish the film, and continue moving forward to honour Rob’s work and his important legacy. We will continue to reach out to all of you with more information in the coming weeks. But for now, let’s all continue to share Rob’s incredible message to #wildify this planet and take care of our sharks and our oceans. All of us send our deepest condolences and are crushed at the news. That very day I had just watched Passion for Planet which featured Rob. I hope someone will eventually take up the work of finishing the sawfish film on Rob's behalf. We wanted to let you know that the American Conservation Film Festival posted this entry on our Facebook page on February 4th. We are saddened to hear of the death of conservation filmmaker Rob Stewart, the filmmaker of Sharkwater in 2006, which shed light on the importance and beauty of sharks and their decimation due to the practice of finning. His powerful film, Revolution, screened at our 2015 Festival. He was working on a film about sawfish when he died while scuba diving. We added a link to Outside Online's obituary as well. Hope you and Rob's family will take comfort in knowing we'll do all we can to advance his conservation message. heartbroken by this loss. we followed the search and pushed out tyler’s funding appeal. rob was deeply admired and worked tirelessly for sharks. Very sorry for the loss! We are also very sorry for the loss! SAIL ON SAILER - ROB STEWART - R.I.P. Berkeley is truly saddened at the news of Rob's passing. He was an inspirational environmental activist and filmmaker that graced our screen with 'REvolution'. Many young producers were inspired by his film and still refer to it as an insightful and beautifully filmed epic documentary. I was deeply saddened by the news. I actually heard about it from one of our attendees and supporters. I had told her about Sharkwater one month ago, as I tell everyone about the film. She went on to watch, and then in turn told others. Her circle of friends are people operating at a very high level in the business world, as is the case with many of our attendees, and so I like to think the ripples from the festival can magnify above and beyond what the average person might be able to do. She had not been aware of shark fining prior to seeing the film as, really, neither had I. You might say that Sharkwater, and Rob, are part of the reason the festival happened, as I never meant to start one. I saw a film that seemed so important I thought it should be shown here. I went on to find six films that told a story of what is happening in the oceans today, which is how I came across Sharkwater. I rented the local theatre and dove in, without really knowing what I was doing, and have only taken a handful of days off since. That was eight years ago. People asked if I would take the films to Hilo, then to Kona, then Maui and O'ahu, and then on tour around the mainland, and around Canada. Someone commented at the first showing that there was no hope, and so I started to get up to point positive before each film, to give people a positive framework within which to absorb the content, and started to get standing ovations on the introductions themselves. Before Sharkwater, I stood up to talk about the PR stunt that Richard Leakey pulled in the 80s, of inviting media from all over the world to a massive bonfire of illegally poached ivory. The conventional wisdom at the time was to sell the confiscated ivory for funds to purchase weapons to fight the poachers. But, he burned it all instead -millions of dollars worth - and spoke to the global media about poaching and what the ivory trade was doing to elephants. Demand for ivory in Europe and the U.S. immediately halted, which was the primary demand at the time, and the trade, and poaching, came to an end (although.. is up again due to demand in Asia). It's a story of what can be accomplished when people understand. After showing the films nine times, I decided to re-focus on a single event here on this coast, understanding who is here, and who spends time here, and what a difference they can make - leaders throughout the business and financial worlds, really. Through the course of the initial showings, I saw Sharkwater nine times. It was my favorite of the early films and one of my favorite of all the films I've shown. I still tell people about it all time - I've told hundreds and hundreds of people about the film at this point and I imagine they continue to share with others as well. It changed forever my understanding of sharks, in addition to bringing awareness of the shark fining issue. It was an extraordinary film, as Rob was an extraordinary person. I'm sorry we were not able to have him join us here. Should his parents and/or sister wish to join us sometime, I would be honored to have them join us, and to show the film again, and have them talk about the work he did and his plans and what he hoped to do with his next film. Perhaps we could continue his work in some small way then, although it is a great loss for the world to have had him go so soon, and I can hardly imagine their loss now. I would add that we've had a similar tragedy in our small community in the town of Waimea, when a young man passed out diving and was also lost, at the age of 24. He was with a group of many friends, but none of them could reach him or help, as they were free diving, and noone was able to reach him. His mother and sister have been volunteers with the festival since the beginning, and his story has been a part of our community here. Please extend my condolences to his family, and let them know the offer stands should they every wish to consider. I can hardly imagine their loss. I will always be grateful to Rob for his work and would love to continue to share what he has done. It is a tremendous loss for everyone. Thank you for reaching out. Ocean Film Fest Inc., dba Waimea Ocean Film Festival, is a 501(c)3 organization. Hello Bruno, our sincere condolences. We are deeply saddened to learn about Rob's death. World lost an inspiring and brave man. At Ekotopfilm festival we screen films to educate, inspire and encourage people to protect and conserve the environment. We're honored we had the chance to screen Rob's Revolution. Now it is up to all of us to live up to the great and encouraging legacy that Rob left us with. Our thoughts are now with Rob's family and friends. He will be greatly missed. We're shocked and deeply saddened by the loss of Rob Stewart, a heroic defender of our planet and its natural world. We hope that his great works and achievements will keep him alive in the hearts and minds of all these people that he worked, educated with and inspired the most all these years including all these festival audiences and festival organizers that hosted, saw and awarded his films. We would like to express our sincere condolences to his family, his colleagues and his friends all over the world. We are so sad to hear about this. We had been holding our breath hoping they would find him alive and well. He was such an advocate for change in the way we treat our earth and we at Red Dirt Film Festival were honored to have screened his film "Revolution". Our thoughts are with his family and close friends now, who will feel this loss in their daily lives, as we will all feel the loss of Rob in the world. We are deeply saddened to hear about Rob. His amazing vision, talent, curiosity, and passion for the planet are an inspiration to people around the world. His films are a beautiful legacy and will continue to educate and be celebrated by many. I am very honored to have shared his work through screenings and will continue to share via our VOD film platform and as opportunities present. Heartfelt prayers for Robs friends and family during this time of tragic loss. Thank you for the opportunity to forward our sincere condolences and appreciation of a brilliant, creative life well lived - a life lived in service to all life. We will miss a brave and talented filmmaker and conservationist. 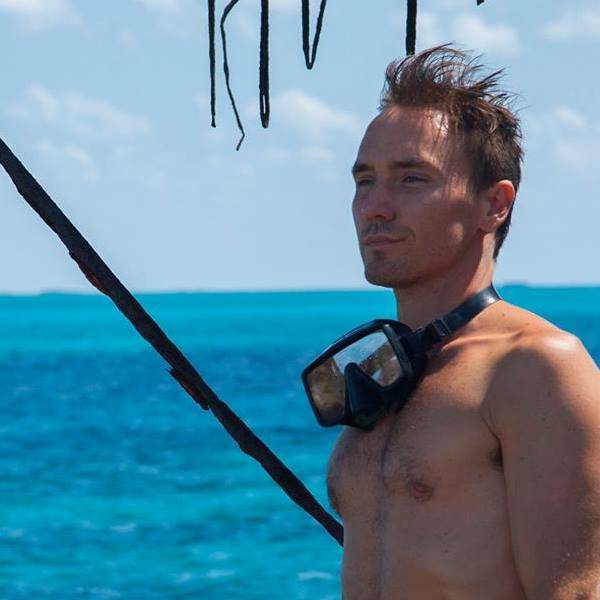 We were so sorry to hear of Rob Stewart's untimely passing. Extending our deepest sympathies at this very sad moment in your lives. thanks for your email. I heard the news yesterday on NPR and was devastated. Mother Earth has lost a beautiful steward. I’m glad he was doing what he loved. Sending gentle hugs from Washington, DC. Bruno Rob was an inspiration to me! Member of the Red Cross in Guayaquil Ecuador, currently involved in new Projects regarding beach safety and ecological education. So sorry to hear this! I saw this news yesterday. I am going to make an announcement at the screening tonight. Monthly environmental film night Ocean Night in Arcata, California. I am beside myself that Rob Stewart is missing. Thank you for bringing his wonderful work to our attention re The Revolution. We sent out prayers and well wishes for him to be found safe. I just heard about Rob today and am so saddened that he is gone far too soon. I know you must be grieving as well and want you to know I am thinking of you and all the dedicated people Rob impacted in such a positive way. Jinna K. Russell, M.S., L.P.C. Revolution follows the success of Sharkwater which received 36 Awards on the festival circuit. Rob Stewart's second documentary "Revolution" - The Evolution of Life on Earth and the Revolution to Save it.